Since inception in 1978, the company has maintained very high ethical standards, business integrity and professionalism. All our clients are highly appreciative of our services to them. The company has collected several awards from local and international clients. The company has reached the levels of being qualified for all construction activities in the State of Kuwait, including oil sector. Oil Sector is the company’s areas of operation. The company is qualified for all the activities. 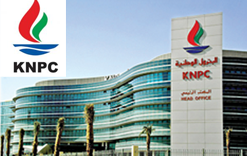 36 years of existence of ARABI ENERTECH KSC has been a continuous climb from a small Limited Liability Company to a large contracting and trading company with worldwide reputation. Staff needed for the following.